A Beautiful Dark left with Skye on the brink of death. Now she wakes up completely healed and with a very worried dark angel by her side. The horrible betrayal and Ash’s promises make her stick with the Rebellion. But her angelic powers are still wacky and if she hopes to control them, she needs to embrace both sides of her heritage. The pressure of choosing sides becomes harder when she starts having visions of Devin. How can she choose one and destroy the other, when the truth is life needs both to survive? 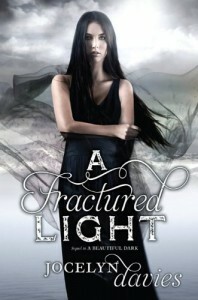 A Fractured Light is the exciting sequel to one of my favorite angel series ever. Thoroughly enjoyed diving into this world again!The choice Skye has to make is not easy, and I love the way Davies handled it. Skye is trying to fit herself to only one side when she’s clearly of both. This problem echoes in the romance as she loves Asher, but can’t deny she feels something for Devin too. I would’ve liked more interaction between them. I thought a lot of time was wasted in the cabin. Sky didn’t seem all that concerned that her aunt Jo thought she was missing or that her friend Cassie was seriously hurt. She stays there in the cabin just thinking things over and over.Soon enough, she returns to town and then things pick up when Skye starts having visions of Devin. I thought she’d be over him after what he did during the first book, but things are never that simple. The fact is that under the Order’s rule, Devin has no control over his actions. You see him struggle with this more in this sequel. His moments with Skye made me want to weep! It’s so tragic. Skye feels protective of him, she still cares. Of course, this doesn’t sit well with Asher. When push comes to shove, will he do what’s best for Skye or the Rebellion? I’ll leave that for you to read ;)New characters are introduced in this sequel. Ardith and Gideon, both rebels, and Raven makes an appearance too. 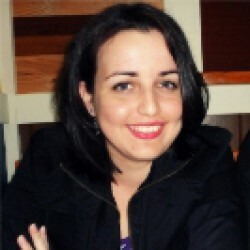 And favorite of them all, Cassie! I missed that girl. But I thought telling Cassie the secret about her powers this second time was a bit too easy. There was this who danger hanging over them, that if she told Cassie would come to harm. Yet she tells her and that’s it. Nothing happens. No danger comes their way. Oh well. I can always hope for disaster in the next book!The ending had a few twists and thrills. Sky realizes things aren’t only black or white, they can be grey too. It wasn’t as horrible a cliffhanger as the first one, but it still left me very excited and eager to know what comes next now that Skye has embraced her heritage.